Planar Systems will feature new transparent OLED technology in February at Integrated Systems Europe (ISE) 2015. The 55 inch prototype at ISE 2015 will utilize Organic Light Emitting Diode (OLED) technology to improve the transparency of see-through displays, creating opportunities for design while overcoming a hurdle to transparent display adoption. OLED displays are self-emitting, eliminating the need for a backlight or enclosure. Transparent displays allow users to view what is shown on a glass video screen while still being able to see through it. This enables users, for example, to overlay digital images onto real objects that sit behind the glass. Based on customer feedback and technology development under way, Planar anticipates adding transparent OLED technology as a product offering in early 2016. 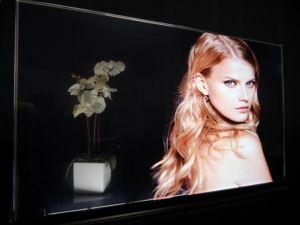 Transparent OLED can be used for a broad range of applications including those in retail, museum and corporate settings. Retailers can install these displays in front of products to provide digital information about their merchandise, creating augmented reality experiences. Museums can use them to encourage patrons to interact with exhibits by displaying artifacts overlaid with text, images or video content designed to educate and inspire. Companies can incorporate them into their lobby, cafeteria and conference rooms as a way to present information to employees and customers while maintaining an interior design aesthetic of modern transparency. Planar’s transparent OLED will allow designers to activate glass surfaces that are incorporated into these spaces, like interior windows, room dividers and partitions. Transparent OLED offers high picture quality, contrast and wide viewing angles. Because the OLEDs themselves emit light, viewing angles are broad and color performance is vivid, leading to eye-catching installations. Moreover, because only those pixels that display content are turned on, a transparent OLED showing video will exhibit better contrast and energy efficiency than traditional displays. Planar introduced its first transparent display in 1999. The Planar technology demonstration at ISE 2015 continues the company’s work in see-through displays, which has included both LCD transparent displays and transparent electroluminescent (EL) displays.